It’s been a while since I’ve written a wrap-up post. But I’ve finished my first book(s) of the new year and I’m working on a writing project – I’m ready to share and I hope you will too! The author isn’t reinventing the crime-novel here. 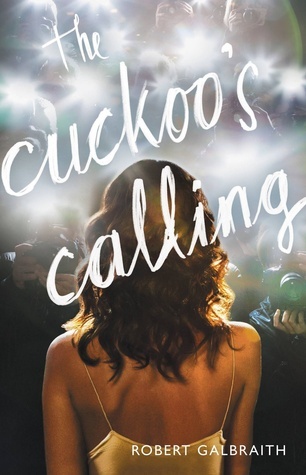 The Cuckoo’s Calling has many of the signature crime-novel elements: a down-on-his-luck private investigator, smarter than the cops who investigate a death they rule a suicide but that some are convinced was murder. Rowling’s descriptive writing sets and the characters are likable. Though it didn’t rock my literary world, I found it to be an entertaining read. Has anyone else read this one yet? What did you think? I also recently finished Shanghai Girls by Lisa See. The book’s description piqued my interest: two sisters living in Shanghai who move to Los Angeles in the 1930’s to find new lives. As Japanese bombs fall on May and Pearl’s beloved city of Shanghai and their lives begin to crumble, their journey to America is not at all what they imagined it would be. Their stories are heartbreaking as misfortune finds them at every turn; their naivete is frustrating as they refuse again and again to see the gravity of their situation. Told over two decades, I felt the story lost its intimacy as the novel seemed to go on and on. I kept thinking, how many more bad things can happen to these girls? The story of May and Pearl’s journey to Los Angeles was powerful, but the novel continued on, telling of the hardships they face in America, the discrimination they endure, and their struggles to become Americanized while trying to honor their Chinese traditions. After finishing Shanghai Girls, I learned there is a second book, Dreams of Joy. After browsing some reviews, I learned that some readers enjoyed Shanghai Girls more once they had read Dreams of Joy and felt the books are best when read together. Has anyone read one or both? I’d love to hear your experience. I plan to read Dreams of Joy in the future. Perhaps reading the follow-up with change my opinion. Earlier this week I wrote about stories that I keep coming back to but always leave in some state of in-completion. My writing goal for 2014 is to (finally) finish a short story and submit it to some literary journals with the hope of publication. One such story is one I wrote this past summer that I think has potential. I’ve already written several drafts but have been feeling that it isn’t quite ready to submit. I’ve been making revisions to this story over the past few weeks. I rewrote the opening scene and deleted a few paragraphs. I am focused on the details now, adding a sentence here, a description there. Next month I will be sending it off to my writer friend to be read and critiqued! I will be sharing updates on the story’s progress. This post from blogger and fantasy writer Victoria Grefer is what got me thinking about the practice of writing and how everything we write is useful. A great read for any writer with a day job. Read any good books lately? Share your reading and writing adventures in the comments, and feel free to link back to your own blog! This entry was tagged J.K. Rowling, Lisa See, Quotes on Writing, What I'm Reading, What I'm Writing, Writers. Bookmark the permalink. I haven’t read either of the books above. My sister is a huge fan of Lisa See’s work, so I’ve heard of Shanghai Girls. To me it looked like a daunting read. I shied away from the Kukoo’s Calling after reading JK Rowlings first adult novel, The Casual Vacancy, which was terrible (my opinion). At the moment I’m rereading Gone Girl, my favorite read of 2012, for my neighborhood book club discussion next month. 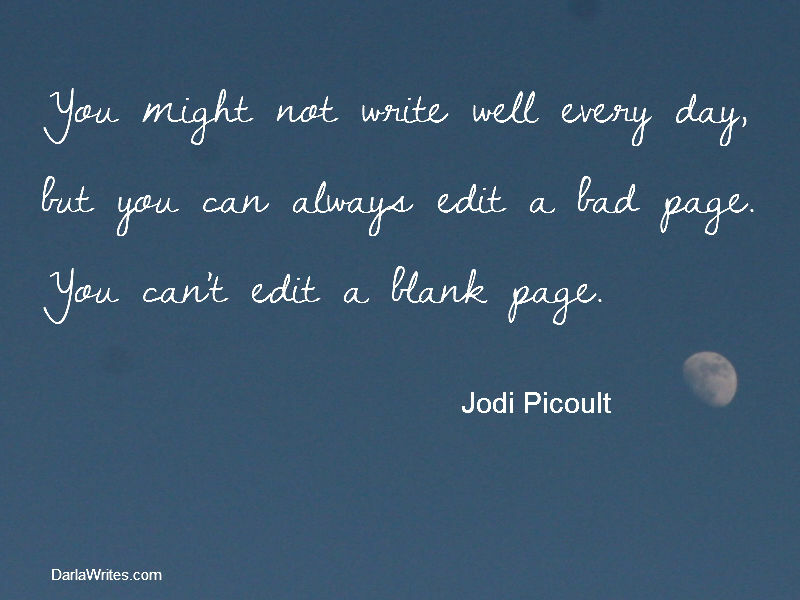 I’m in a similar state with my writing – I have 14 stories on my hard drive right now, all in various stages of outlining and revision. My planned blog post for tomorrow is about my hopes for 2014 – and starting submissions with some of these is on my list for this year! I’ve heard some mixed things about Gone Girl but I have it on my to read list and may give it a read. I look forward to reading about your writing goals and your progress with submissions! I’m excited to (finally) start submitting in the near future so it will be nice to share our experiences! I love the idea of a weekly reading and writing post! It’s like a journal for you, plus your readers get updates on your work and taste of new books. And we learn things. For example: WHAT? J.K. Rowling wrote a mystery under a pseudonym?? This is the first I have heard of this! But I am so glad to see writers publishing under more than one genre (pseudonym or no). I have wondered about that in the past, since I hope to write more than one genre myself. And getting a short story published by a lit mag is a great goal! One that still eludes me 😉 Maybe it’s time to send more out. All the best with your submissions, and with your writing!